Except I'm not very crafty. Or creative. I've been watching Sonia from Dandelyne make her delightful hooped jewellery and wall hangings over on IG for months now ... and then last week I was tempted by a 5 pack of tiny hoops at her gorgeous Etsy shop and this week I've actually been getting my craft on. I'm determined to finish the other two and make some more of these gorgeous reindeer tree decorations this weekend (as well as host a party for an 11 year old) - wish me luck. Beautiful and lovely is your craft work. I'm definitely the crafty type! My only thing is that I can't seem to find enough time to do ALL that I want. 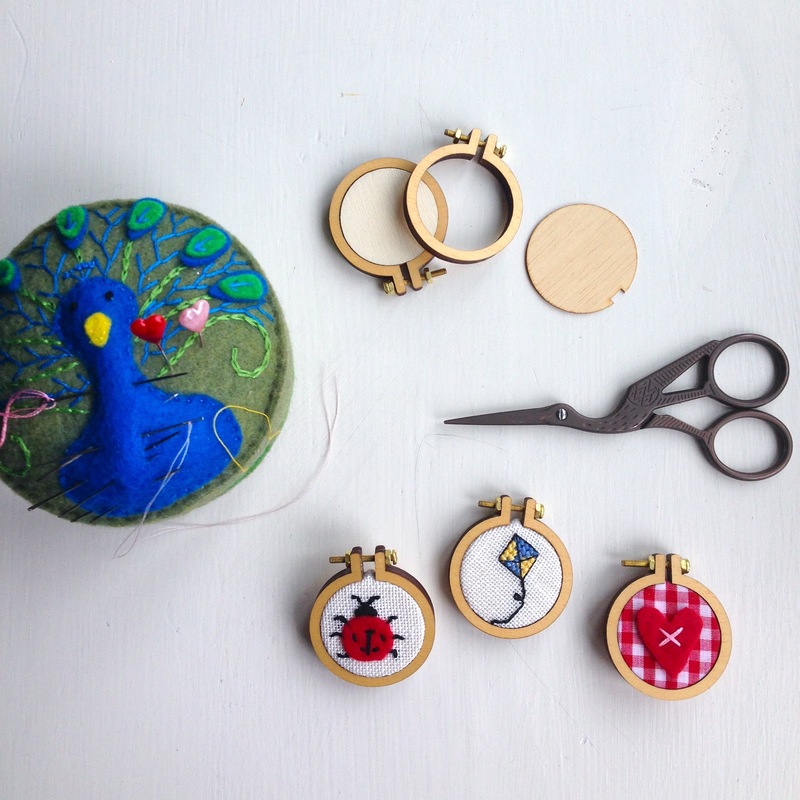 Love a bit of hoop art too :) Actually Sunny and I have been getting into a little bead making for Christmas pressies. I think I',m in love with it! Love those hoops! They look so sweet! I wish I had more time to craft - there are so many unfinished projects!